Rob Tobias, CEO and president of HDMI Licensing Administrator explains why you need to have the latest version of the ubiquitous connectivity standard on your radar. ZeeVee has introduced a plugin module to enable Ethernet switches to integrate HDMI connectivity for video sources, including the capacity to distribute uncompressed 4K/UHD and HDR content. 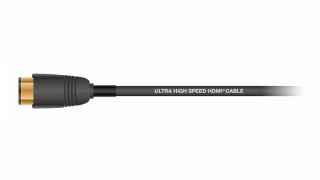 Extron has begun shipping the HD Pro Plenum Series of active, hybrid optical-copper cables for high-speed transmission of HDMI digital video and audio signals. tvONE is now shipping the MX-65xx Matrix Switcher series, introduced first at InfoComm 2018. Atlona has begun shipping the AT-HDVS-SC-RX HDBaseT receiver and 4K/UHD scaler with a local HDMI input. The Gefen 4K Ultra HD Multi-Format 4x1 Scaler with Auto-Switching and HDMI/HDBaseT Outputs is now shipping. Comprehensive Connectivity Company has launched the CHE-HDF18G01 - Pro AV/IT HDMI 18G Fiber Extender TX/RX Kit for distribution up to 3300 feet. MuxLab has introduced two IP-based Uncompressed Gateway Converters for SDI and HDMI. The 1T-DA-68x Distribution Amplifier series provides a high-performance solution for distributing HDMI signals with video output up to 4K2K@60Hz resolutions and HDR.